This kind of Christmas surprise sounds quite different than: “A new bike!? No way! Thank you!” Two gifts, two kinds of surprises. But both gifts are unexpected and both express the love of the parents. Christmas surprises are nothing new. They go back to the very beginnings of this season. The story of Jesus’s birth, as described in the Gospel of Luke, bristles with the unexpected—each surprise showcasing the love of the Father. The birth of Jesus entailed myriads of details working together. The Roman Emperor, Caesar Augustus, issued a census requiring Joseph and Mary to visit Bethlehem (Joseph’s ancestral home and the town prophesied by Micah to be the birthplace of the Messiah). And so, Joseph and Mary had already arrived in Bethlehem at the time when Mary was ready to give birth. So many details, and God was in control of them all. Without effort, he guided the decision-making of a pagan emperor, who lived 2,100 miles from Bethlehem. Without difficulty, he moved the prophet Micah to foretell the location where his Son would be born—over 7 centuries later. From all appearances to the average Roman citizen, it looked like Caesar ruled the world. What he wanted, happened—through the more than 1 million square miles of his empire. Yet surprisingly, the king was a pawn—a piece moved by the one true God to advance his loving plan of redemption. And still today, nothing is too hard for the Lord. No matter how hard hearted your family member may be; regardless of how independently minded they seem; irrespective of how things appear—God is not challenged by their sin. So, pray for God to work—even in surprising ways—to guide and change those you love. His love knows no weakness. Shepherds were considered lowlifes in that time. Although historically a noble profession in Israel (think King David the former shepherd boy), by Jesus’s day shepherds had become blacklisted. Ancient Jewish writings even ranked them among gamblers, tax collectors, and dishonest money-lenders. Yet God announced the birth of his Son—not to priests at the nearby Temple, not to civic leaders in Jerusalem, and not even to common townsfolk in Bethlehem. Instead, in what must have been an unexpected move, God went outside acceptable social circles; he delivered the good news for the joy of “all the peoples” to the marginalized, to the shunned, to shepherds. And our Christmas seasons are still populated with “shepherds.” Not the elementary-aged ones, wearing oversized bathrobes. But whether at church or at family gatherings, we will meet men and women who very much feel like outsiders. Men and women to whom we may surprisingly, like the angels, also bring the wide-reaching message of God’s love, the good news of Jesus Christ. At this time of year, retail stores do their best to attract shoppers. They put signs outside which tell of fabulous deals inside. That’s how signs work—they’re pointers to the real thing. And in Luke 2, the shepherds are also given a sign—one which points to the Messiah. The sign? “You will find a baby wrapped in swaddling cloths and lying in a manger” (Luke 2:12, ESV). What a relief to the marginalized shepherds. Their promised King had come in lowliness: wrapped in common attire and nestled in an uncommon bed. And if the cloths and manger—like signs—pointed to the Promised One, the Messiah himself pointed to the Father (John 1:18). If you want to see what the Father is like, you need only look at Christ. Like Father, like Son. And it’s not just that you can see the Father in the mighty miracles of Jesus. Anything and everything the Son does reflect the Father. So, when we see Jesus in humble, lowly, approachable love—wrapped up and in a manger—we see nothing less than the humble heart of God. During holiday times with friends and family, do we approach conversations needing to validate the reputations of ourselves or our children? Do we feel compelled to always be right? 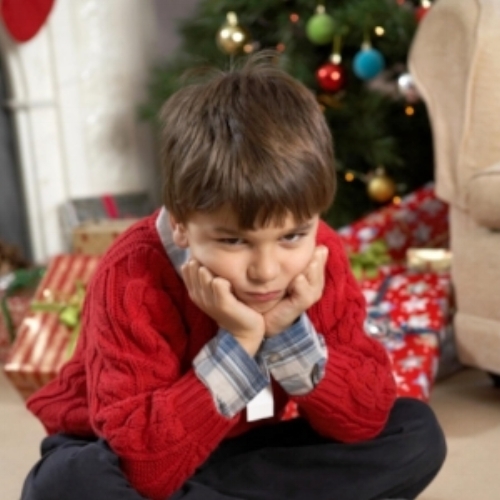 Are we willing to relinquish the power over our Christmas schedules and agendas? Our Lord and Master came—not as the Jews of his day anticipated, wielding his power and prerogatives. This approach would have meant judgment. Instead, our King came in lowliness, bringing our salvation. May our Christmas season be freshly full of the surprising love and grace of Christ.